Sorry, it’s another rant this week – I hope you don’t mind! I’m slightly wary of blogging about announcements by the Nepalese government, given their history of making statements that have as much chance of happening as Donald Trump winning the Nobel Peace Prize. I’m also conscious that Nepal is currently experiencing a politically-motivated border blockade that is depriving the country of vital imports, including fuel, medical supplies, food, and humanitarian aid destined for those still affected by last April’s earthquake. Writing a post which highlights yet another example of unscrupulous government feels like applying a boot to a broken leg, but sometimes it’s necessary to stamp your feet just to show that you care. Tourism in Nepal has been hit hard by the earthquakes and border blockade, and tourist numbers declined significantly in the autumn season. The Himalayan Times reported last week that in order to reduce prices and attract tourists back to the country, Nepal’s Ministry of Culture, Tourism and Civil Aviation (MoCTA) is proposing a 60% reduction in the insurance cover provided to mountaineering workers for rescue and medical costs in the event of an accident. While cutting prices is usually a successful means of winning back business, in this particular instance it is likely to have the opposite effect. 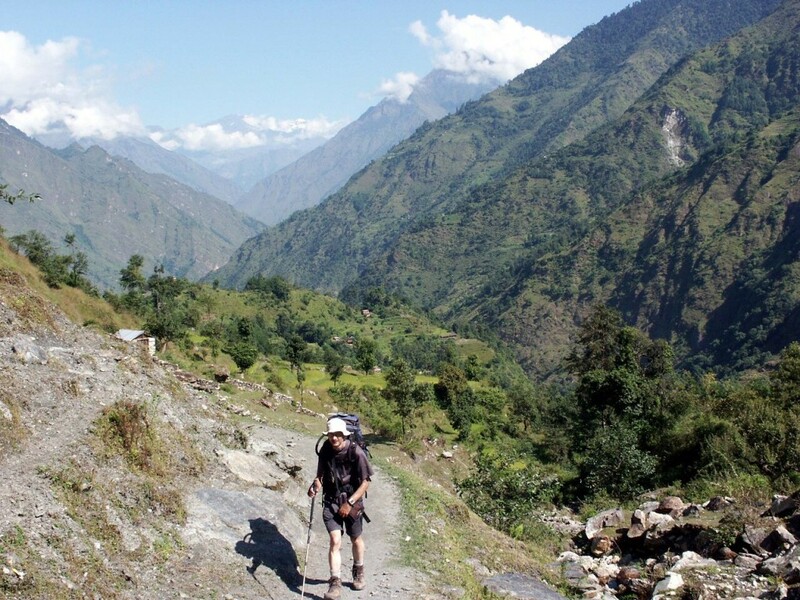 In 2013 insurance cover for mountaineering workers was capped at around $5,000. This was the maximum amount Nepalese insurance companies paid to porters, climbing Sherpas and other mountain workers in the event of rescue, accident, injury or death. Prior to the 2014 season this figure was increased to $10,000. That year sixteen Nepalese mountain workers were killed in an avalanche in Everest’s Khumbu Icefall. The accident triggered a labour dispute which led to all expeditions being abandoned. 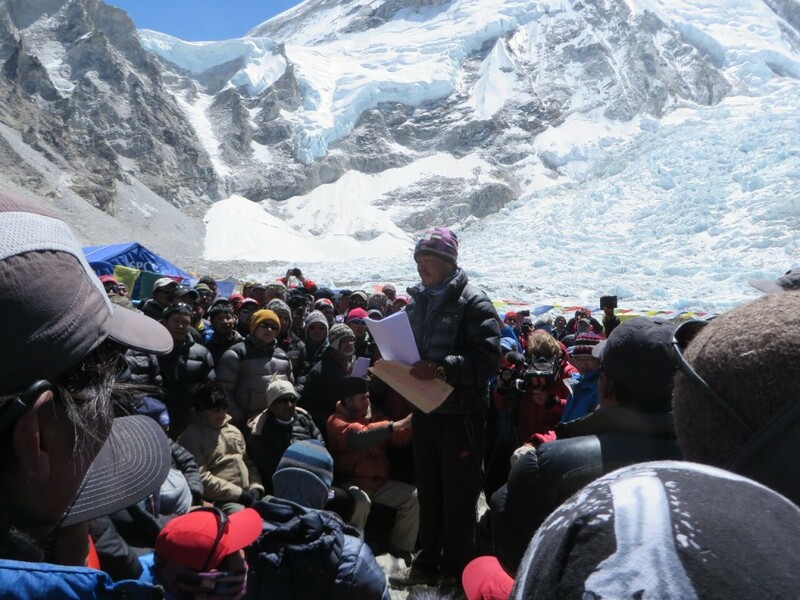 Sherpa activists issued a set of demands which included a number of measures to improve Sherpa welfare in the event of a similar accident happening again. Government officials helicoptered into base camp for an emergency meeting, but were unable to provide any assurances to the activists that their concerns would be addressed. The strike went ahead, the mountain was closed and climbers went home without having set foot on the mountain. I was one of those present that year. 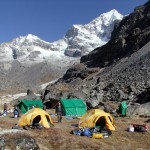 I paid $20,000 for an expedition to climb Lhotse which got no higher than base camp. I witnessed many of the protests. 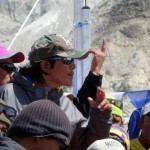 While I and many other climbers were unhappy with the behaviour of the protesters and the final outcome (the protests were enforced by a threat of violence), there were many demands which we fully supported, such as setting up a trust fund to support victims’ families (to be funded in part by our climbing permit fee), and increasing the insurance cover for mountaineering workers. These particular demands (though not all of them) were reasonable, and it would have cost the government little to agree to them and prevent the strike. While the strike was damaging to the Sherpa economy, one positive did come out of it. A few months later, the maximum insurance cover for mountain workers was increased from $10,000 to $15,000. Now the government of Nepal is thinking of reversing that hard-earned progress, in which case ultimately the strike was in vain. In a country where the standard method of registering protest seems to be downing tools and ensuring others do likewise, this is a decision that can only lead to more strikes. This will put off tourists, not attract them. Furthermore, many tourists will steer clear of Nepal if they believe locals employed in tourism are not treated ethically. But more important than any of these reputational risks is that a reduction in insurance cover will certainly put lives at risk. 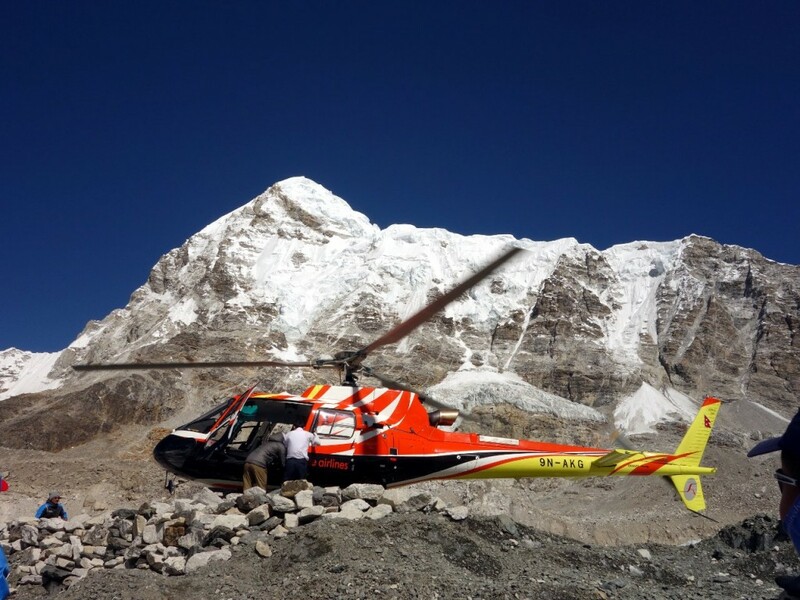 In a mountainous country where hospital treatment is many days’ walk away over high passes, often the only means of ensuring the survival of an injured worker is by helicopter evacuation. But helicopter flights can cost thousands of dollars. If insurance companies won’t cover these costs, the helicopters won’t come, and people may die. There are other solutions to escalating tourist prices. One is to reduce permit fees. Another is to cap the fees charged by helicopter operators, who are at the top of the food chain and make good money from tourism. To do that, they will first need to negotiate with the Madhesi protesters who are blocking the Indian border and preventing fuel supplies from reaching the country. But the best measure of all would be to stamp out corruption which is vanishing millions of tourist dollars into private bank accounts. A recent investigation concluded that Rs 60 million (around $600,000) entrusted to the Trekking Agencies’ Association of Nepal (TAAN) has gone missing. TAAN is licensed to collect the $10 each and every trekker must pay for their TIMS permit (Trekkers’ Information Management System). This money is meant to be used for the rescue and medical treatment of guides and porters, and Rs 60 million constitutes more than half of it. In an article in last week’s Nepali Times TAAN’s newly-elected president Chandra Prasad Rijal is quoted as claiming that TAAN’s current officials should not be punished for crimes committed by their predecessors. If he’s unable to take responsibility for restoring his organisation’s damaged reputation, then it doesn’t inspire confidence that TAAN’s new officials are any less corrupt than the old ones, or that TIMS permits are money well spent. There is some good news. I reported a few weeks ago that the Nepalese government had diverted funds destined for the Nepal Mountaineering Association (NMA) into its own coffers by revoking the NMA’s license to collect permit fees for the 33 mountains in Nepal classified as trekking peaks. The NMA is a rather more reputable organisation than either TAAN or the government itself, that does good work to benefit the tourist industry and local economy. The revoking of its license meant its budget reduced significantly, putting much of this work in jeopardy. Happily Nepal’s Supreme Court has reversed this decision and, temporarily at least, the NMA has been given back its trekking peaks. Unhappily Nepal’s reputation as a tourist destination continues to be buried beneath a landslide of bad publicity, much of it thanks to its own mismanagement. This situation seems unlikely to change any time soon. 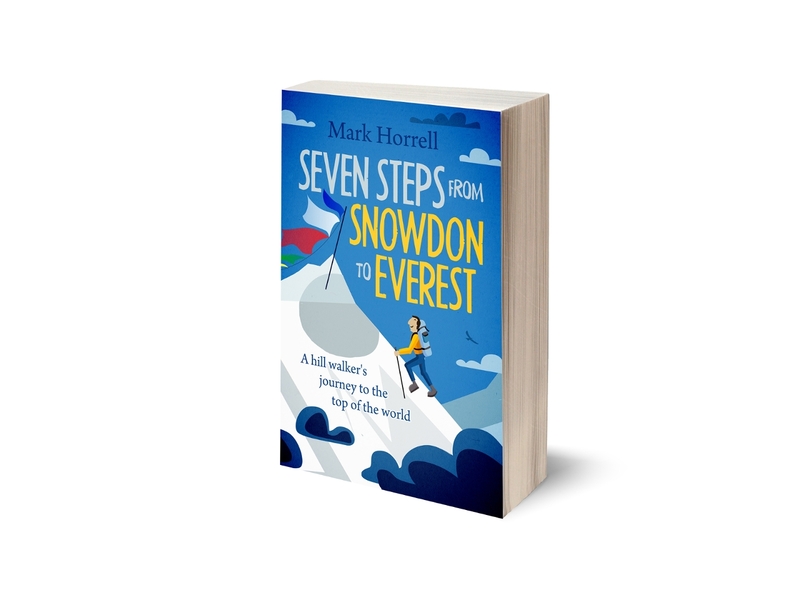 My book Seven Steps from Snowdon to Everest, about my ten year journey from hill walker to Everest climber, includes much about my travels in Nepal, a country I have grown to love. It’s a country worth visiting a million times over, despite its politics, and I hope I can show you why. The book is available digitally, and will be published as a paperback in January/February. Well, now that the insurance premiums for the highly overpaid and underworked Sherpa have dropped by $5 or $10, I think it’s time to go to Nepal. After all, that was the extravagant expense that was keeping me away. Groan. When will their government ever realize that we go to their wonderful country in spite of their government? A good point, Robert. I don’t know exactly what increase in insurance premium these changes will equate to, maybe a little more than $5 or $10, but it’s unlikely to be a significant factor in the overall cost of a trip.